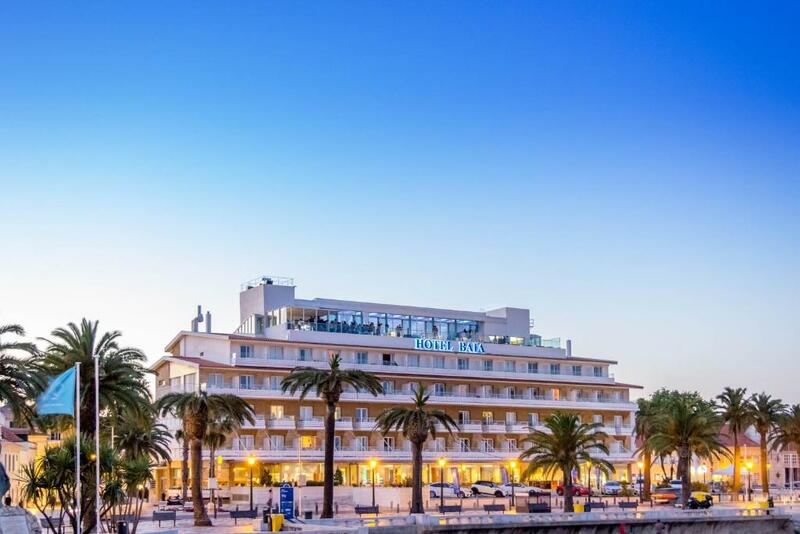 Lock in a great price for Hotel Baia – rated 8.3 by recent guests! Everything! The location is perfect, the pool and upper deck is gorgeous and the breakfast was unbeatable. I can't think of a single negative. Great location and underground parking. Breakfast was quite good. This no thrills hotel has everything you need for a short stay in beautiful Cascais. 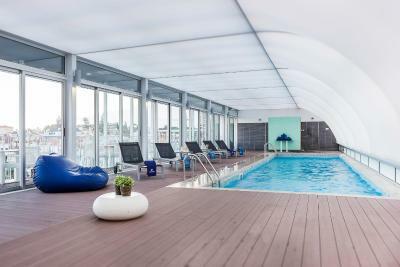 The rooftop enclosed swimming pool is a treat especially in the winter. Take a dive in the morning and enjoy gorgeous views of the harbor. Then head downstairs to the cafeteria for a simple, but fresh and filling breakfast. The location is central to the beaches and all the night life options including many bars in the backyard and a jazz club a couple of blocks away. I was there in a "slow season" though, so noise wasn't a big problem. The breakfast spread far exceeded my expectations, I absolutely love my stay here in the hotel. My room was made everyday without fail by friendly housekeeping staffs. The only down part was that i actually ran out of shampoo in the bathroom on my last shower there - guess they didn’t refill the bottle of hair/body soap during housekeeping. Also the rooftop terrace was under renovation (until May) during my stay. But apart from that, I love every aspect of my stay here. 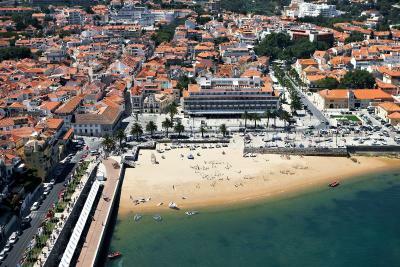 ((: will not hesitate to return for my next trip to cascais! I've stayed at the Baia Hotel several times in the past 2 years, and it is definitely a wonderful place to stay. Location can't be beat. Breakfast wonderful. I leave the balcony door open so I can hear the surf. Staff kind, pleasant, helpful, welcoming. What else can be said? Awesome location. Parking garage below. Hop on hop off bus comes right out front and into Lisbon! Amazing location, ocean view room has amazing view in the morning with sunset. breakfast was great with lots of fresh fruits. Many great restaurants near by, city feels very safe at night with lots of lights. Hotel is under improvement, modern shower and rainfall shower head! 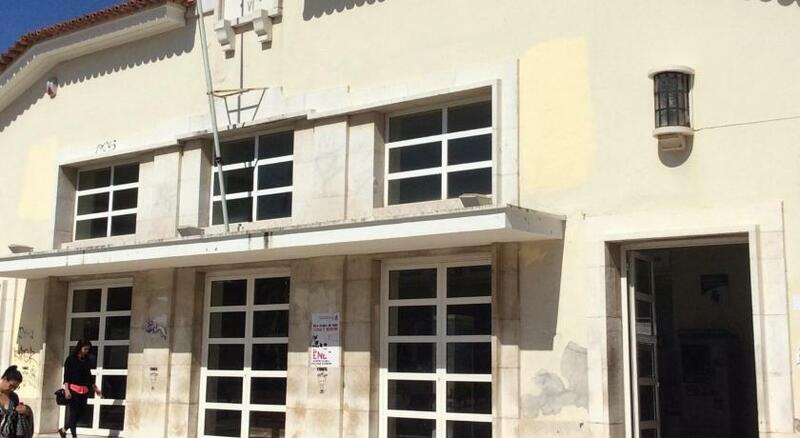 Was pleasantly surprised as the building looks old from outside. I was able to relax and enjoy the ocean. Comfortable beds too! 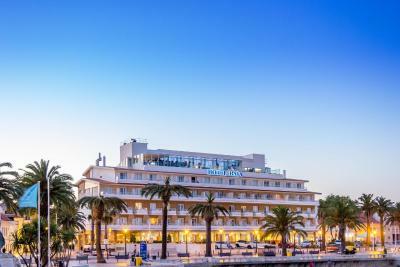 Hotel Baia This rating is a reflection of how the property compares to the industry standard when it comes to price, facilities and services available. It's based on a self-evaluation by the property. Use this rating to help choose your stay! 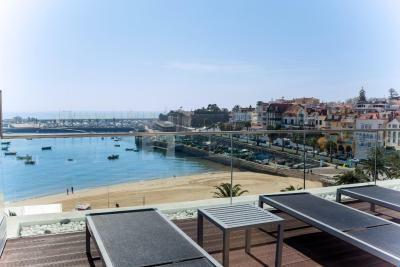 Located in the center of Cascais, just 50 feet from Fishermans Beach, this hotel features an indoor rooftop pool and an outdoor terrace with panoramic ocean views. Baia rooms have air conditioning and are decorated in warm colors. They come equipped with a telephone and TV. Some rooms feature Atlantic Ocean views. The Baia Grill Restaurant offers traditional Portuguese cuisine and fresh seafood specialties. In the morning a buffet breakfast is served at the restaurant or on outdoor terrace. 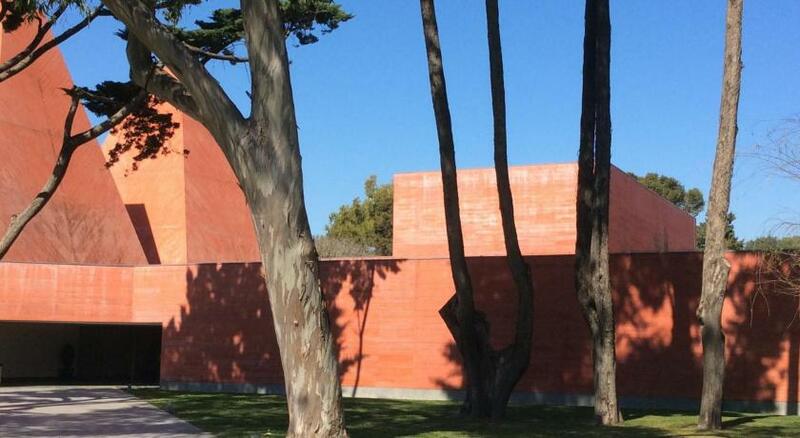 Hotel Baia is a 2-minute walk from the Cascais Marina and is 20-minute walk from Sintra-Cascais Natural Park. 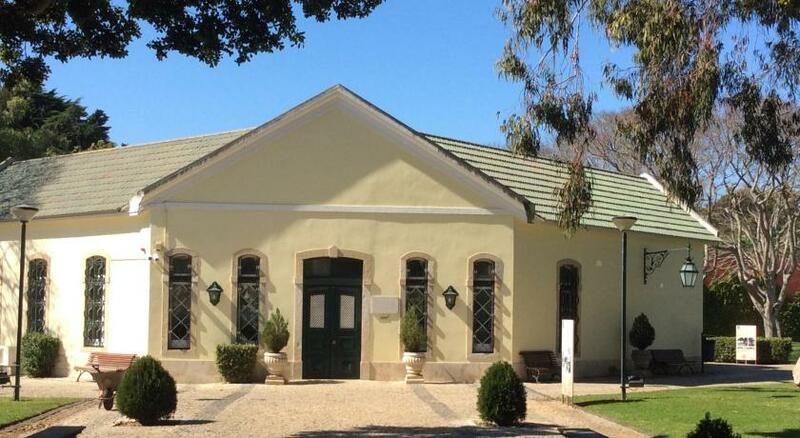 Cascais Railway Station is 1,000 feet away. 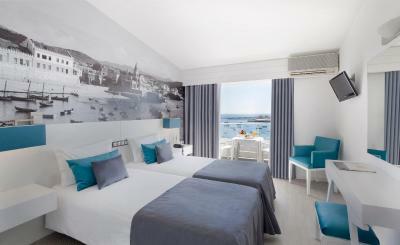 When would you like to stay at Hotel Baia? This bright, air-conditioned room includes a TV and a private bathroom. Featuring 2 single beds, this room includes Atlantic Ocean views. This suite has a seating area, private bathroom and Atlantic Ocean views. This junior suite has a seating area, private bathroom and Atlantic Ocean views. This suite has a seating area and a private bathroom. 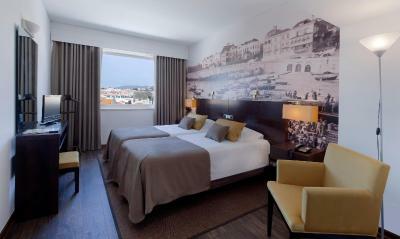 Featuring 2 single beds, this room includes Cascais views. Featuring 2 single beds or a double bed, this room includes Atlantic Ocean views. Featuring 2 single beds or a double bed, this room includes Cascais views. 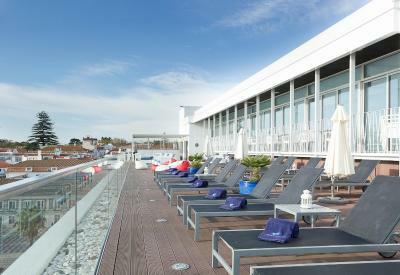 The Hotel Baia Cascais has the most privileged location on the Estoril Coast. 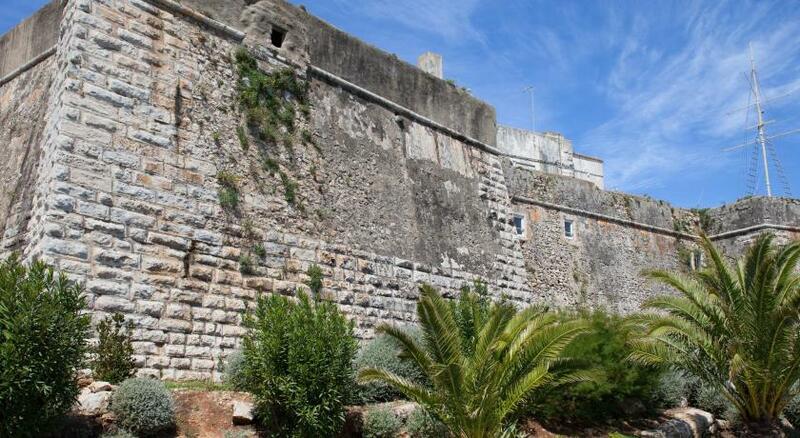 Right in the center of town opposite the beach it offers breathtaking views of the Cascais Bay. After extensive renovations, it now offers 113 rooms, most of which have a balcony overlooking the ocean. 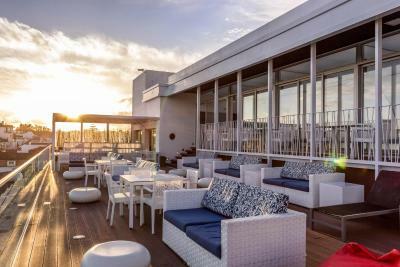 On the top floor you will find a covered, heated (in the winter) swimming pool and the Blue Bar, a sunset lounge bar where you can enjoy a drink or a snack while admiring the view of the bay and its surroundings. On the ground floor, along its welcoming sea-front terrace with bar and snack service as well as free Wi-Fi internet access you will also find the reputed Baia Grill Restaurant famous for its gastronomy. The Hotel Baia has 5 fully equipped banquet rooms for up to 150 people as well as a private underground car park with a capacity for 90 cars. Close to all the local golf courses and other sports facilities, like the Cascais Marina, sailing club, beaches, racing track, Estoril Congress Center and the historic Casino do Estoril, this family-run hotel offers its visitors a warm welcoming atmosphere with a personal and friendly quality service. House Rules Hotel Baia takes special requests – add in the next step! Hotel Baia accepts these cards and reserves the right to temporarily hold an amount prior to arrival. Our room was at the back of the hotel on the first floor. View was of the air condition units and a concrete wall. However, you get what you pay for & this did not in any way spoil our stay. We can't wait to return & wouldn't stay anywhere else. Location, facilities & breakfasts were outstanding. Just slightly too small rooms, with almost no space for luggage. Not that suitable for longer stay. Very nice setting and location of the hotel. Having sea view with balcony makes it always bit more special. Overall hotel feeling very positive and reasonable price/value ratio. Very well located in city. There was nothing that I did not love! The price of taxis from Lisbon to Cascais is too much I think. We ordered a shuttle with the hotel to collect us from Lisbon airport, which cost us more than the taxi that we got from the hotel back to Lisbon airport for our flight home - not impressed with that. Breakfast was lovely and well organised. Food was fresh and neatly laid out. Hotel is in a perfect location for getting to know the area - all facilities/amenities are within walking distance, with a popular (small) beach just across the road. Easy access to Lisbon should you decide to visit there. STAFF, CHECK IN, CAR PARKING, LOCATION. Beachfront rooms were substandard for the money we spent on this hotel. We got a tiny room with a small double bed although I had booked a superior room w 2 twins. Mattress was terribly firm and uncomfortable. No safe, nor mini bar nor kettle was available, unheard of for a 3 star hotel. Decor in room was vet cheap in quality and appearance. Unacceptable! Bathroom was barebones w few amenities. Just painted gray walls and painted bare cement floor. Ugly! There were no tea and coffee making facilities in the room. I stay here each time im in Cascais and always buy a room with a view cause in the morning its Just breathtaking. I hadn't been to the Hotel Baia, for 23 years! 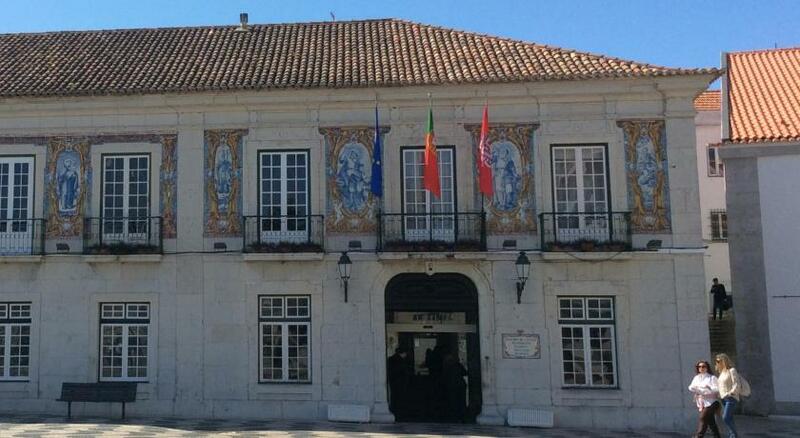 Our family spent many holidays in Cascais during the '70s - 90's. It is still as fabulous. Great staff, fantastic location and a delicious breakfast. The pool on the roof is small but there is always the beach across the road. Sitting on your balcony, there are always great views and people watching. Several times we had a Baia Lunch on the terrace it was very good value. Beds are very low to ground, maybe I'm showing my age, otherwise very comfortable.